Alcohol dependence is an issue that effects all of society. The impact of alcohol abuse extends far beyond the individual who abuses alcohol. The family and friends of the alcohol dependent individual feel the repercussions of the problem on a daily basis. Society pays for the problems of those with alcohol dependence in ways such as increased medical costs and the loss of human life from in alcohol-related accidents. Although a variety of programs are available to both the individual and the family, many suffer in silence. Alcohol dependence takes a huge toll on the person who is in the clutches of abuse. Health issues brought on by years of drinking can leave the person with a life-altering illness. Liver problems and increased risks of other forms of cancer are just two of these areas. Loss of employment, the use of excessive sick days, and an increased risk of injury on the job caused by drinking on and off the job are other consequences. It is impossible to separate the problems of the member with alcohol dependence from the rest of the family. Many rehabilitation options include the family as an integral part of the process. Help is also available for the family members even if the person battling addiction chooses not to participate. Much has been written on the dynamics of children of alcoholics who experience life-long effects related to a parent’s abuse of alcohol. Violence and abuse can increase with alcohol use. It is extremely difficult for parents to watch their child deteriorate as a result of alcohol abuse. 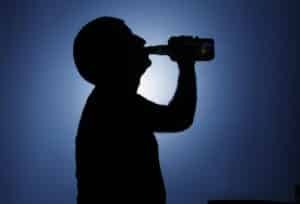 Many families vacillate on what course of action to take and can enable the individual with alcohol dependence by making excuses and bailing the person out. See more about the Symptoms of Alcoholism. Although many of these are monetary issues, the human cost is immense. It is impossible to put a price on the loss of a loved one at the hands of a person driving impaired. The news is most metropolitan areas reports almost daily on an accident where alcohol played a part. Alcohol can be involved in major health issues that effect everyone. Each facet of society has to address alcohol dependence. For the individual and the family this may involve a treatment to address the issues of dependence. There are a wide-range of choices available that can meet the individual needs of those who seek help. Society as a whole can be proactive by supporting programs that provide services that allow those who are dependent on alcohol to get help.